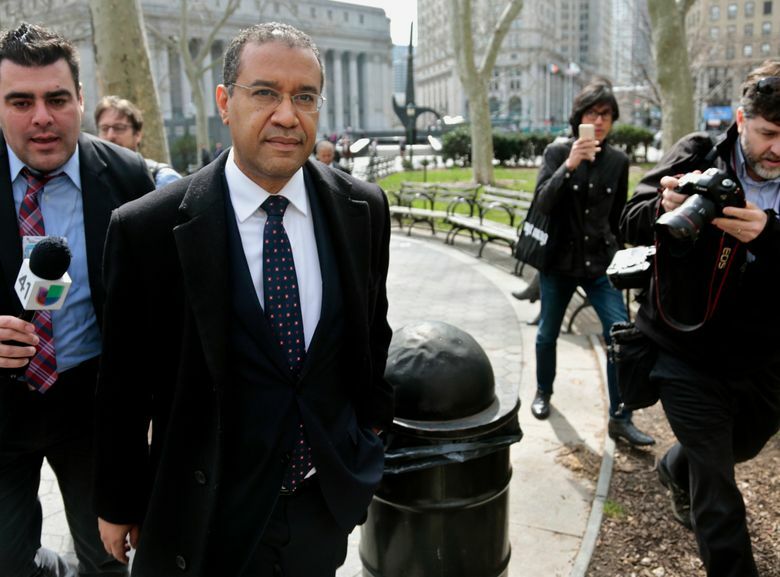 NEW YORK (AP) — A suspended diplomat from the Dominican Republic pleaded guilty to new charges in a United Nations bribery scheme on Thursday, revealing himself as a key witness at a Chinese billionaire’s trial next month. Francis Lorenzo entered the plea in federal court, admitting for the first time that he accepted bribes and violated the Foreign Corrupt Practices Act. He had pleaded guilty more than a year ago to six other charges, though his cooperation was not disclosed in open court at the time. Defense attorney Brian Bieber said outside court that Lorenzo will testify against Ng Lap Seng as Ng fights charges that he paid bribes to gain U.N. support for a conference center in Macau. Ng’s trial is scheduled to start May 30. Lorenzo told U.S. District Judge Vernon Broderick he paid bribes to a former U.N. General Assembly president who served in the post in parts of 2013 and 2014 as part of an effort to promote the conference center between 2011 and 2015. He also admitted that he solicited and accepted bribes for himself from Ng. He said that he knew what he was doing was wrong when he committed the crimes. Ng has pleaded not guilty. He has been confined since his 2015 arrest to a luxury Manhattan apartment under 24-hour guard according to the terms of his $50 million bail. His lawyers have cast him as the victim of a politically driven prosecution aimed at preventing construction of the conference center and slowing the progress of Chinese influence over developing nations. An attorney for Ng, Tai Park, declined to comment on Thursday. Lorenzo’s cooperation deal can earn him leniency at sentencing. Otherwise, Lorenzo, 49, would face up to 78 years in prison.